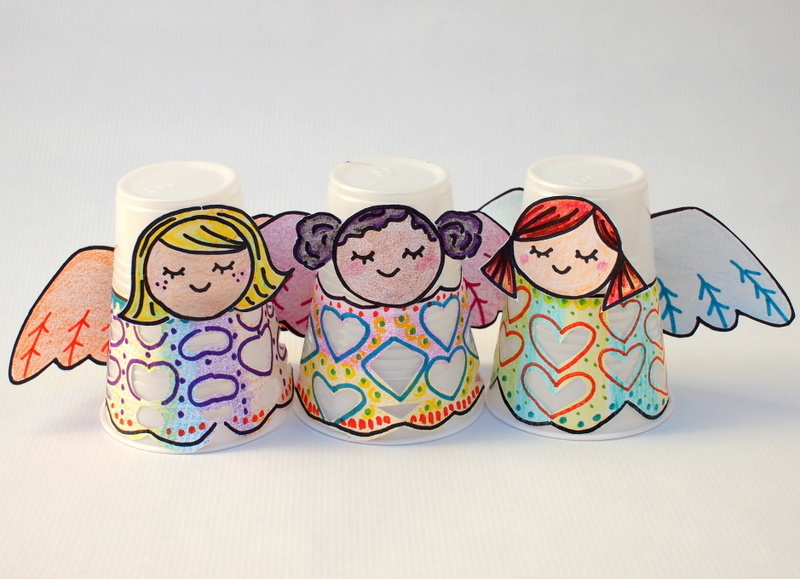 These little paper cup angels are super sweet and simple to make. Perfect for adding a bit of holiday cheer during the day and giving your home a lovely warm and angelic cozy glow at night. 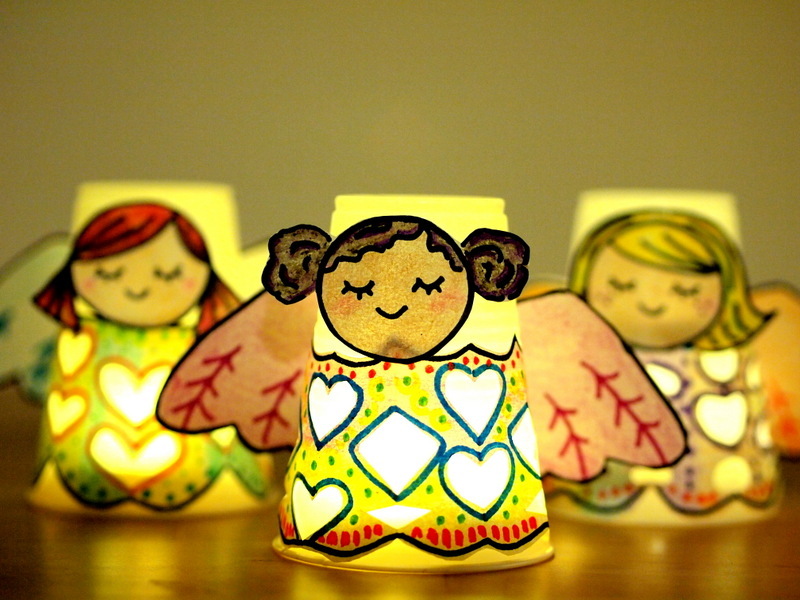 Let’s make some paper cup angels! 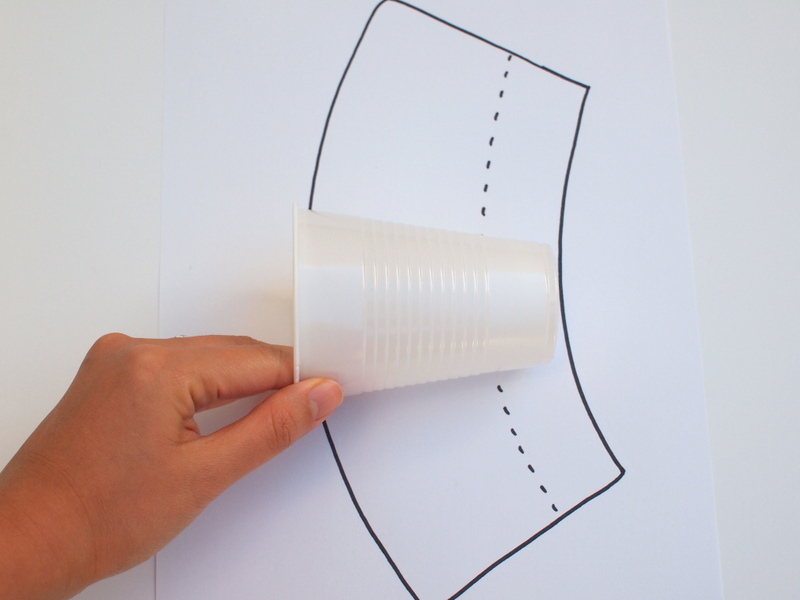 Roll your plastic cup over a sheet of paper and trace along it’s edges as it rolls. Now you’ll have a curved shape which will fit nicely over your cup. 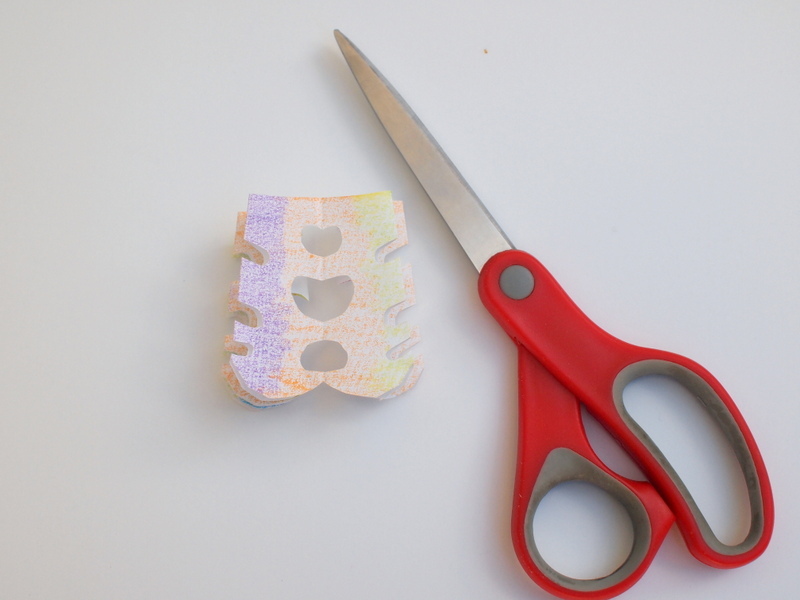 Cut the shape out, and trim off about 1” to 1 ½” off the top (shown by the curved line) so that you’ll have space for the angel’s face. Colour in your curved shape. Open up your folded piece of paper. 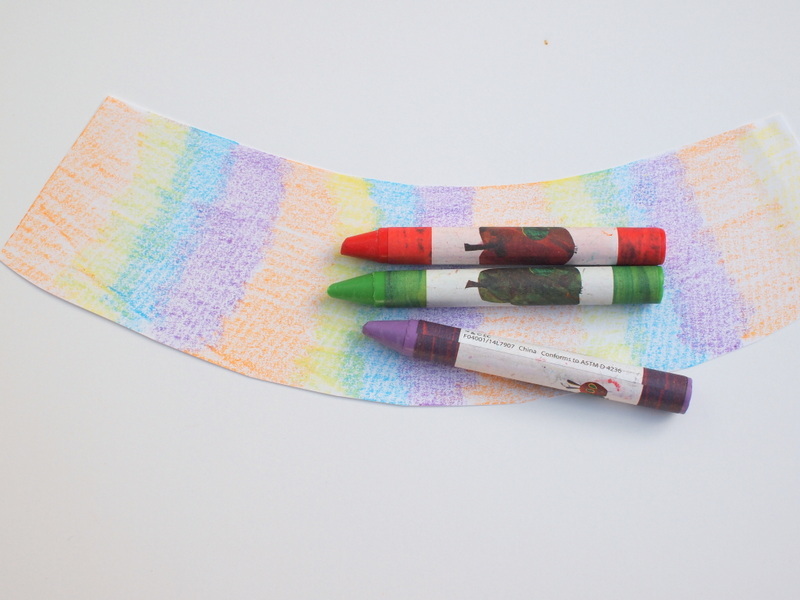 Use Sharpie markers to add more decorations to your design. Yay! Now your angel has a lovely lacy dress to wear. Cut out and colour a face and pair of wings. Tape your dress, face, and wings onto your plastic cup. 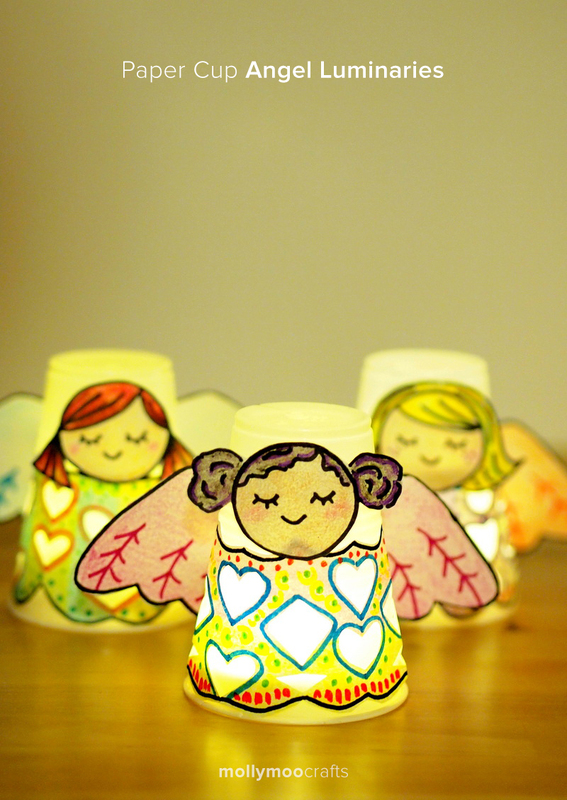 Place 1-2 LED tea lights under each cup to make your angels glow. Aren’t they beautiful? 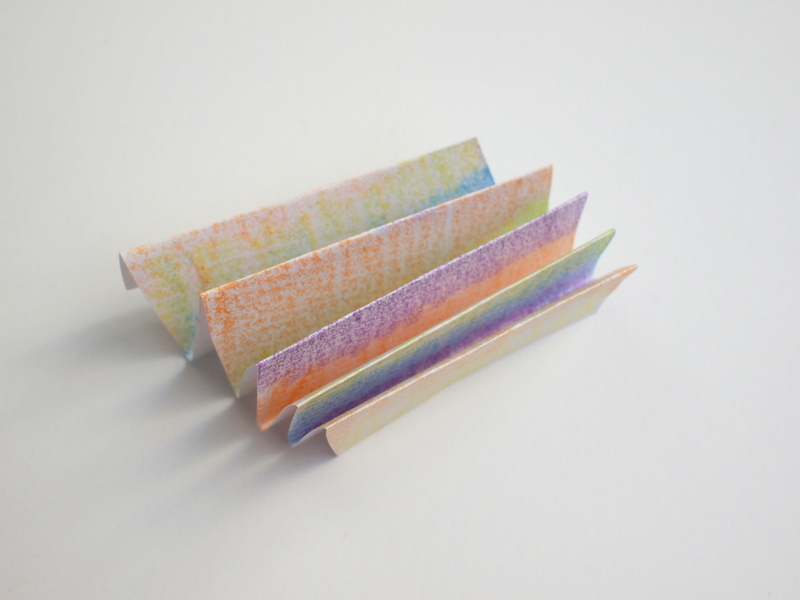 I hope you enjoy making these lovely glowing pretties with your children.